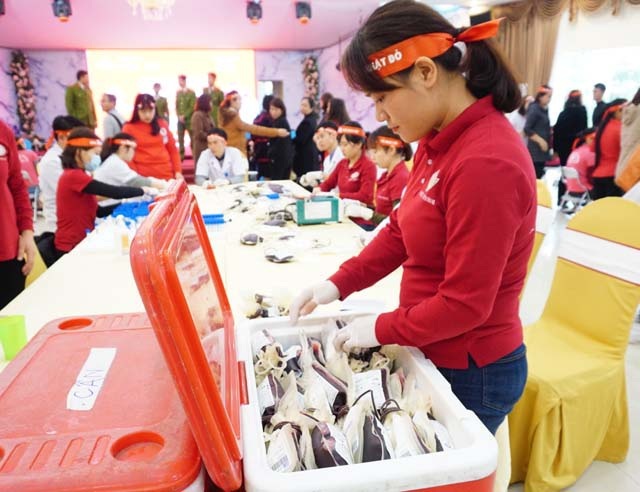 People in Nghe An and Ha Tinh provinces have donated thousands of units of blood in the Red Sunday programme on January 20. The event was launched by Nghe An Province Red Cross Organisation, the provincial Institute of Haematology and Blood Transfusion and Tien Phong Newspaper. It was also held in other provinces and cities in the central region including Vinh City and attracting thousands of donors. The local Red Cross organisation have knocked on every door to encourage local people for blood donation. Second Lieutenant Nguyen Duc Tai from the Fire Department in Vinh City donated 350ml of blood. "I hope I can help save other people. My co-workers also participated," he said. The organisers hope to get 1,500 units of blood in preparation for the surge in demand during Tet Holiday. 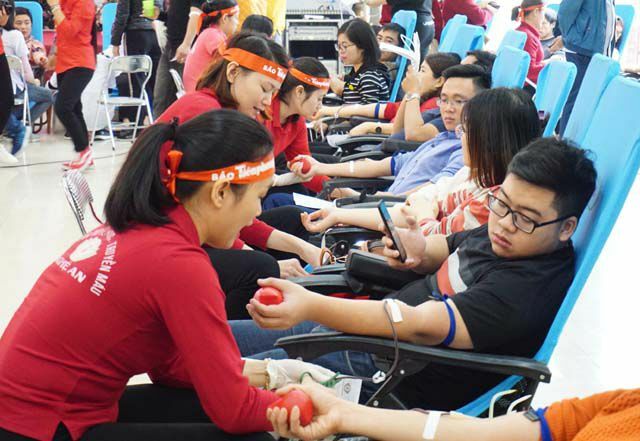 Over 1,500 people in Ha Tinh Province also responded to the programme and donated over 386 units of blood.